The DII men’s basketball tournament is quickly approaching. It’s time to keep an eye on some teams that may be ready to surprise a few people come March. Here are five squads currently outside the top 25 whose sleeper status is ready to wake up. Is it possible that the team that finished No. 1 last season can be a sleeper heading into this year’s tournament? 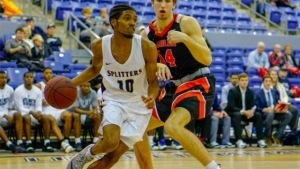 The Railsplitters had a new-look starting five this season after losing three players that appeared on the Bevo Francis watchlist, including 2018 award-winner Emanuel Terry. They stumbled out of the gates, starting the season 1-2, with both losses coming against solid squads. An adjustment period had to be expected, and the Railsplitters have gone 13-2 since. Lincoln Memorial has to show it can beat their SAC rival Queens (NC) after an early season blowout loss, and they will have that opportunity Feb. 2.